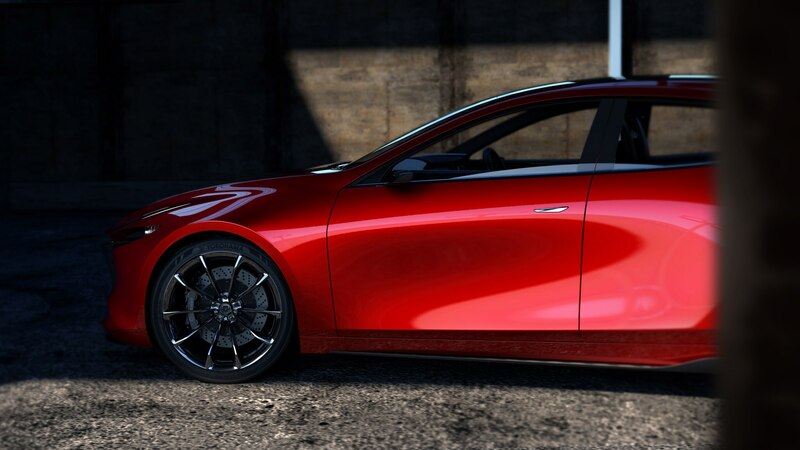 Is the Mazda3 sedan not long for this world? 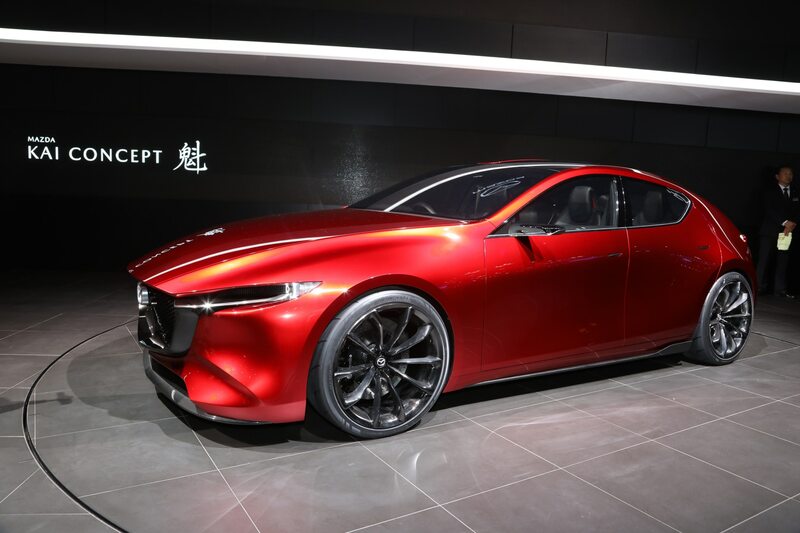 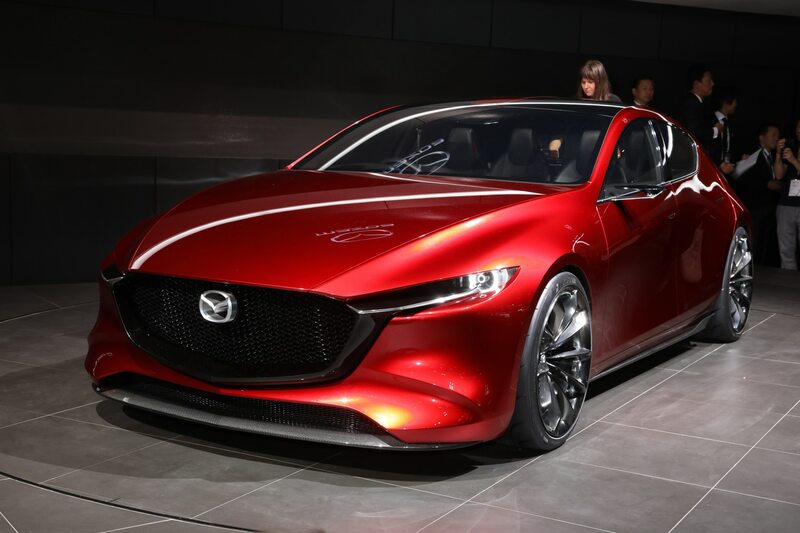 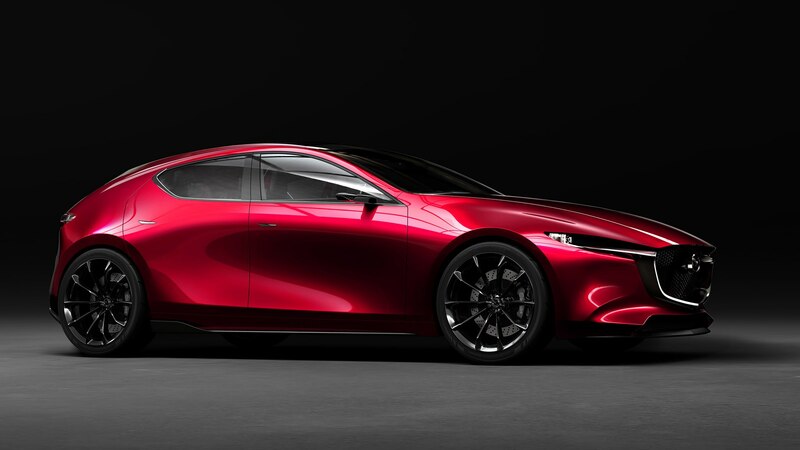 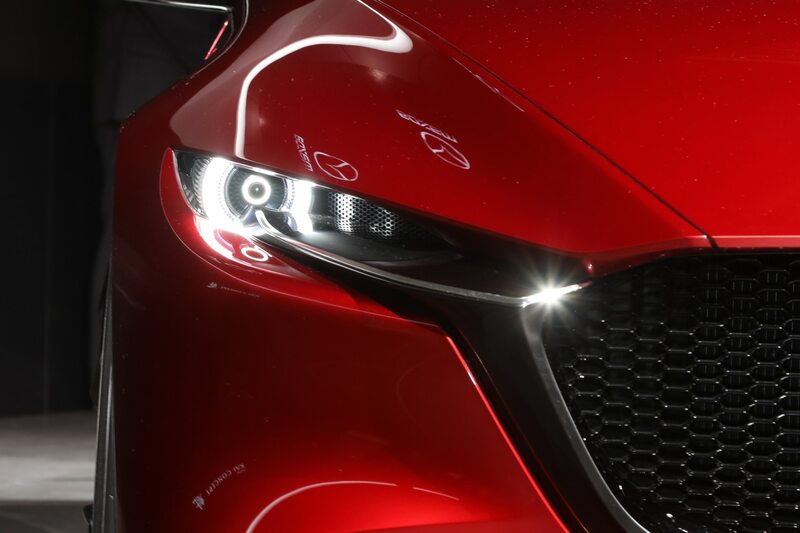 TOKYO, Japan—The Mazda Kai Concept, a preview of the next-generation Mazda3, made its debut at the 2017 Tokyo Motor Show, and it features a design that will have everybody asking whether a next-generation Mazda3 sedan is even in the works. 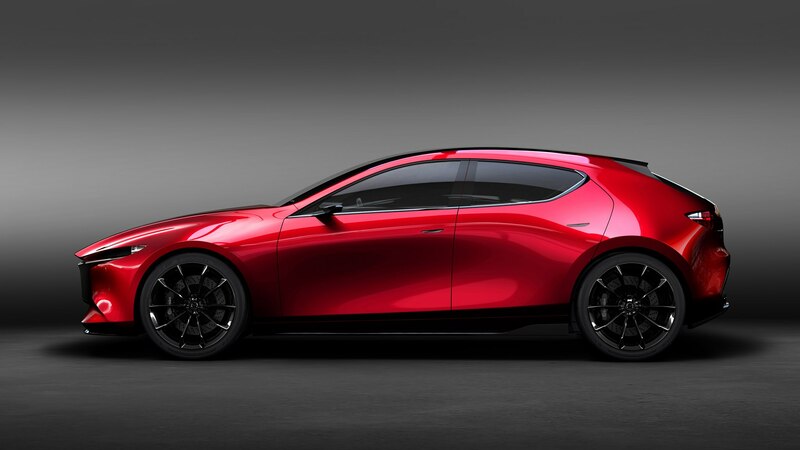 While Mazda didn’t go so far as to say its 3 compact sedan is on the way out, a three-box design would be a radical departure from the two-box one of the Kei concept, which Mazda describes as presenting “the body and the cabin as a single solid pass.” And why would you add a trunk to this hatch, anyway? 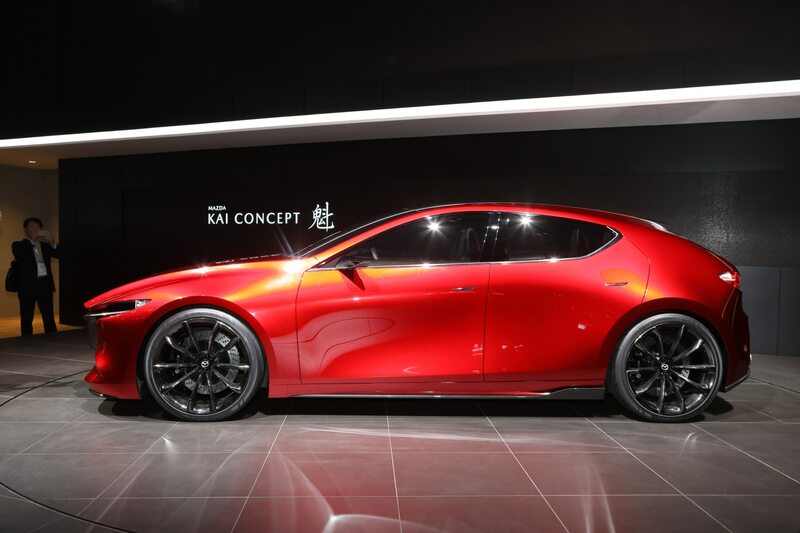 The Kei Concept’s song-and-dance is that it is powered by the brand’s much-touted Skyactiv-X engine, a spark-controlled compression ignition powerplant designed to give diesel levels of fuel economy and torque without spewing pesky diesel particles. 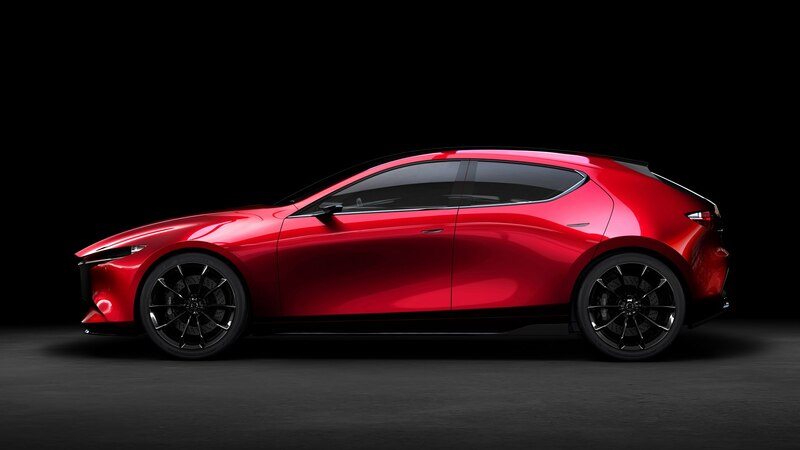 Mazda says the super-lean burn Skyactiv-X adds 10- to 30-percent more torque and 20- to 30-percent more fuel economy than the current model’s output. 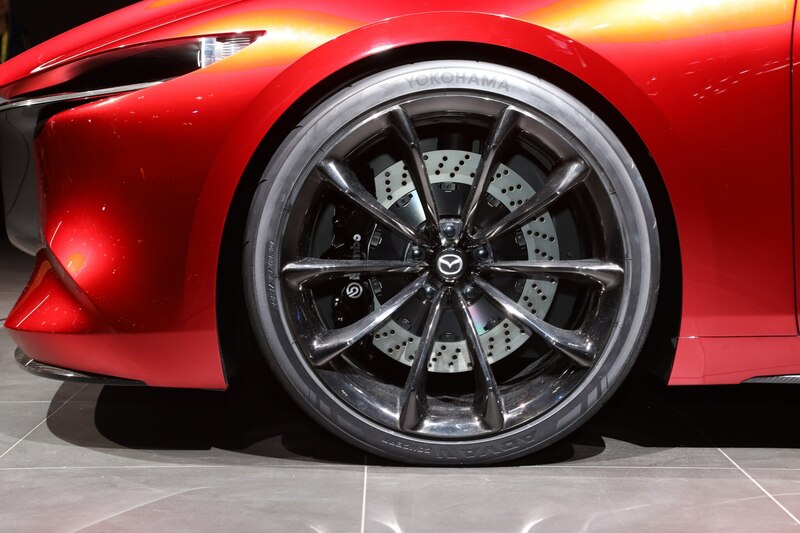 This also gives Mazda latitude in gear ratio selection. 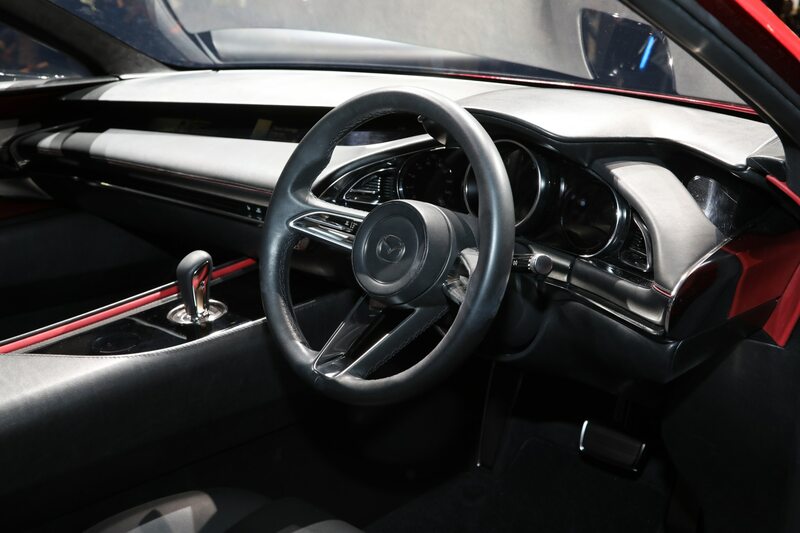 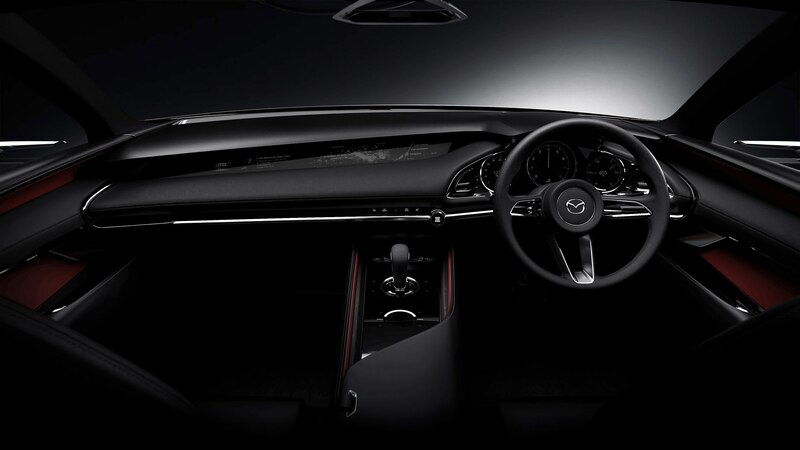 Inside, the instrument panel, door trim and center console are all designed to recline into full-weekend position. 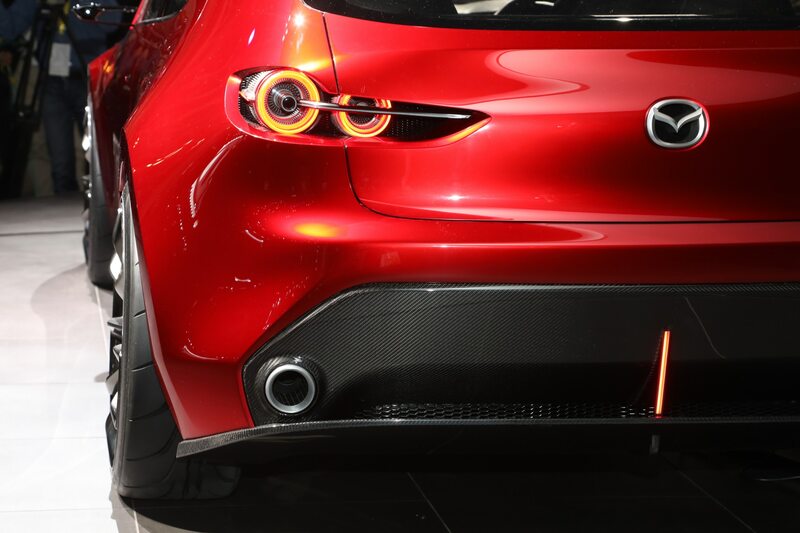 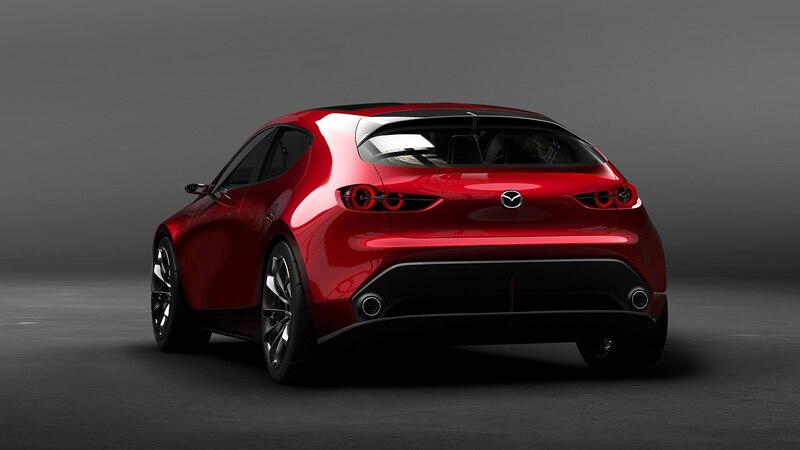 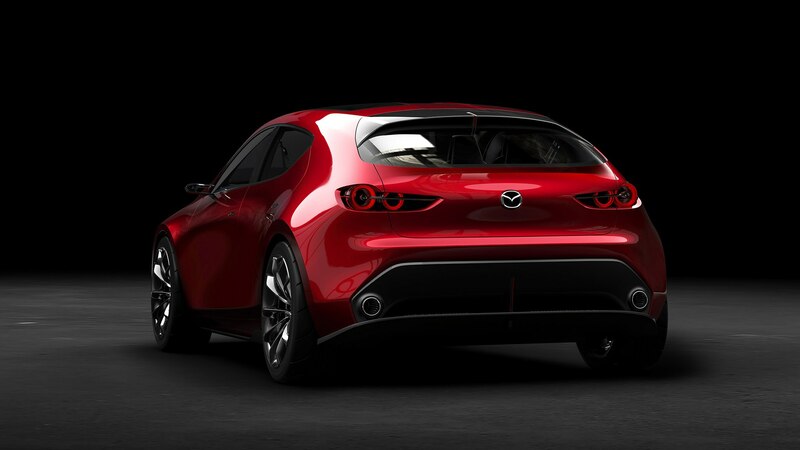 Mazda claims a chassis structure with each part interacting to smoothly controlling energy to spring markets. 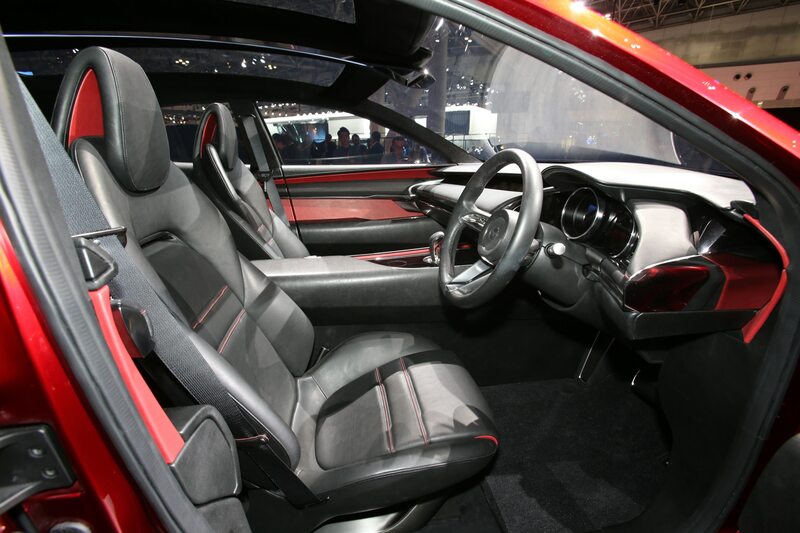 Redesigned seats in the Mazda Kei concept keep the driver’s (and front passenger’s) pelvis upright to maintain the spine’s natural “S” curve. 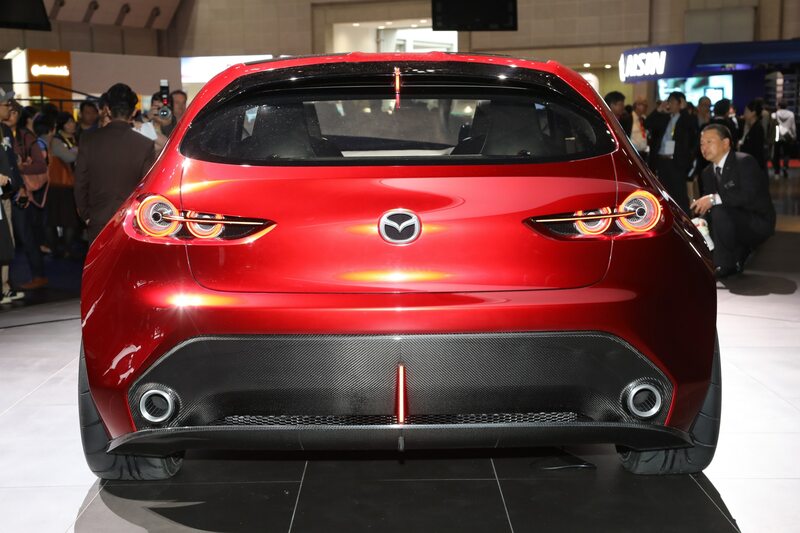 The compact’s handsome, muscular design features a more upright backlight and a thick c-pillar versus the current Mazda3’s sloping roofline. 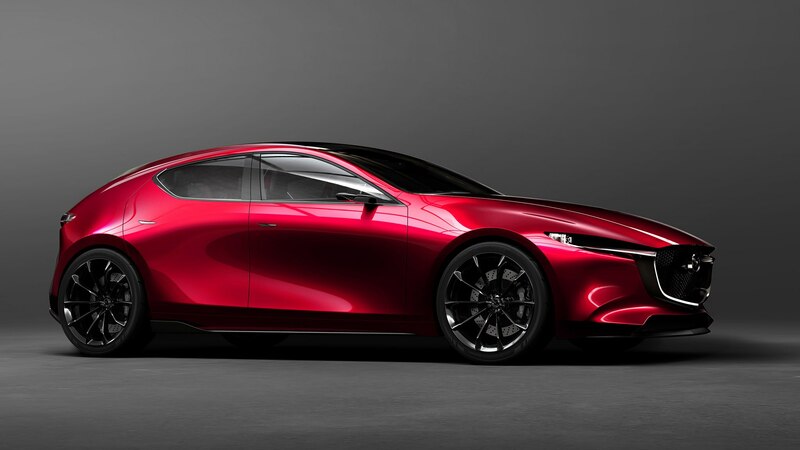 Like the Mazda Vision Concept Coupe, the Kai uses an evolution of the brand’s “Kodo” design language, which dates back to 2010. 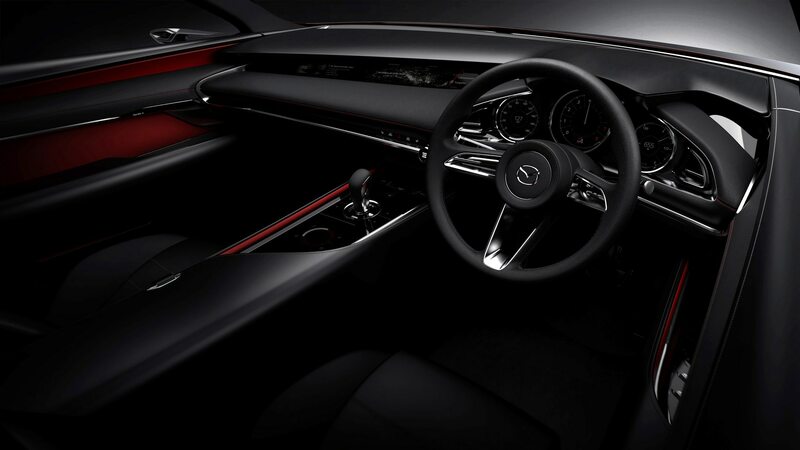 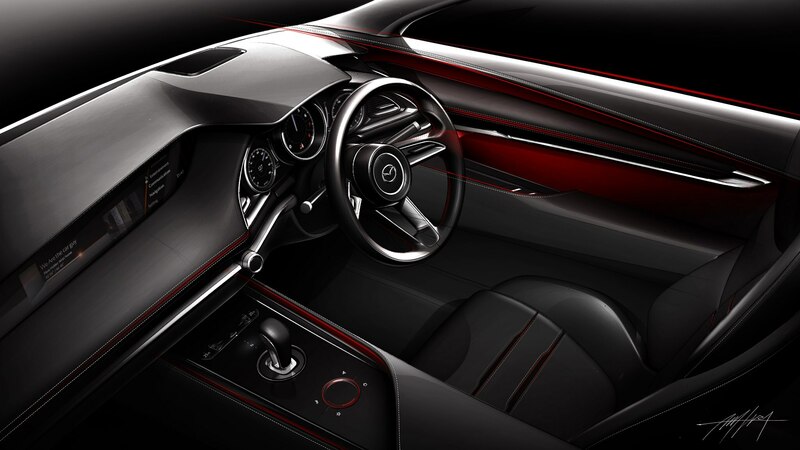 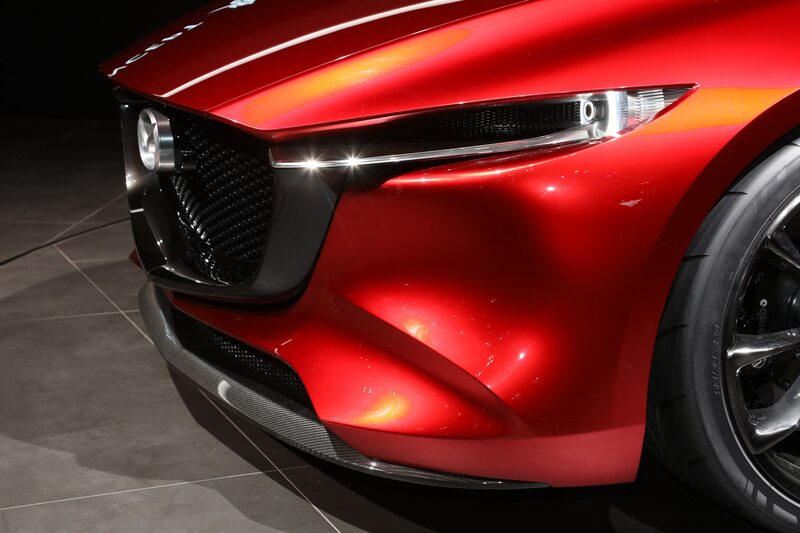 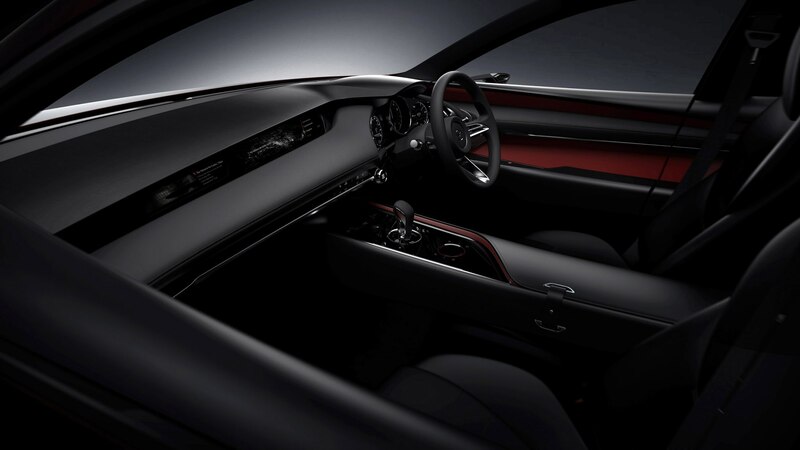 Described by Mazda as a “more mature expression,” the Kai’s design eschews origami-like sheetmetal folds in favor of a “less is more” aesthetic, like that of the CX-9. 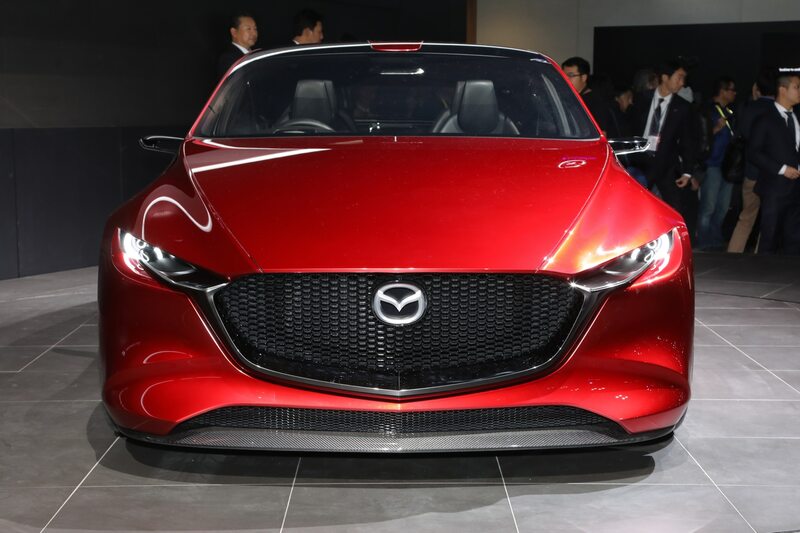 Regardless of the fate of the sedan, expect the next-generation Mazda3 hatchback to go on sale some time during the 2019 model year.